A few weeks back there was a fun bit of news: Dogs apparently align themselves with Earth’s magnetic field. And here’s the part of that news that should really catch your attention: They do that when they “do it.” In other words, they align themselves with the Earth’s magnetic field when relieving themselves. Sometimes science is just too funny. But here’s why this bit of apparently silly information is actually fascinating. Dogs aren’t the only ones to align themselves with the magnetic field. Cattle do it when standing in a field. Foxes do it when hunting. And all sorts of animals from sea turtles to fruit flies to honey bees to bacteria reference the magnetic field when they migrate, hunt, or just wander around. We’re not 100 percent sure how they sense direction from the magnetic field. We do know that, in some of these animals, tiny magnetic minerals called “magnetite” have been found in their brains. 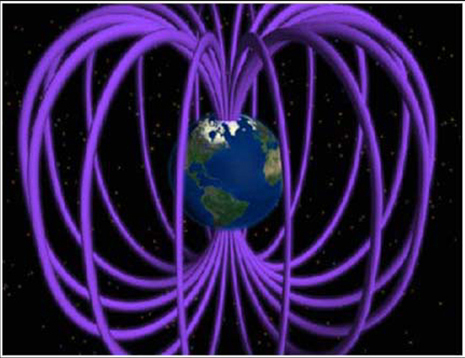 As many of us learned in fifth-grade science, Earth itself is a big magnet with north and south magnetic poles. And what we know about magnets is that opposite poles attract, and like poles repel. Well, if animals have tiny magnetic materials in their brains, the south poles of their magnetites will align with the north magnetic pole of Earth, and vice versa. So magnetites may play a huge role in helping animals know where north and south are. Basically, they are little compasses embedded in an animal’s brain. Of course, bacteria don’t have brains. But they do have magnetites within their bodies. The bacteria orient themselves to each other’s magnetic fields and, as one, to the Earth’s poles. In other words, they line up, forming a chain. Then they move together. Photos of the phenomenon are really impressive. If the bacteria had feet, you could imagine them moving in lock step. The Northern Lights result from Earth’s magnetic field repelling charged particles emitted by the sun. The news about dogs is fairly recent. But scientists have known for a while about bacteria and about birds, bees, and reptiles. As far as I know it was 2008 when mammals at rest were first noticed aligned with the magnetic field. A group of biologists and wildlife scientists were looking at pictures taken by Google Earth, and they thought they saw a pattern in the way cows in a particular pasture aligned themselves. They looked at more and more pictures of cows in pastures and saw that pattern repeated again and again. The cows were, of course, aligning themselves with the magnetic field. The scientists also noticed that cows don’t align themselves that way when they’re near power lines, and that could be because electrical fields generated by the power lines disrupt the Earth’s magnetic field. So, here’s the question I’m most interested in: Why do dogs align themselves when they relieve themselves? My guess is it’s the only time they are not sniffing around and barking and doing a myriad of other dog-related tasks. When they take a moment to relieve themselves and align themselves with the magnetic field, they are re-setting their bearings. When humans drive in unfamiliar territory they pull over to the side of the road to look at the map. Dogs are their own maps. They just take the moment of least responsibility to check them. That’s my idea, anyway. 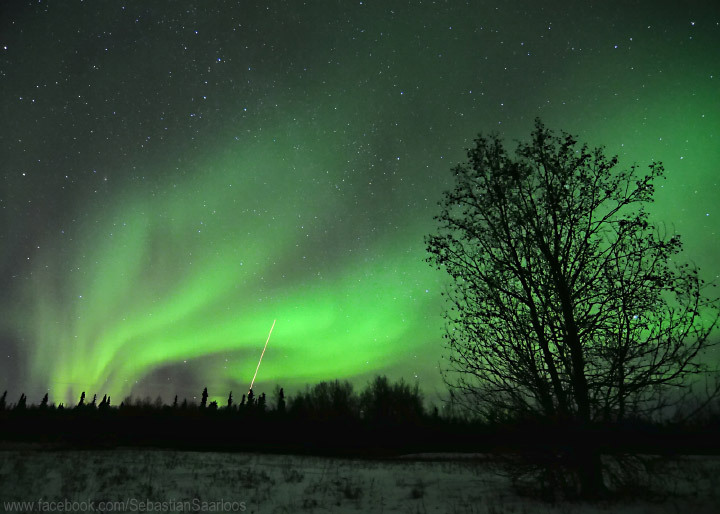 Credit: Magnetic field illustrations and the photo of the Northern Lights are courtesy of NASA.gov.